Thornhearts Resource Pack 1.7.10 was created by Vrezh. This texture pack is themed to represent and cater to the Role Playing Game fans who would like to immerse themselves in a Minecraft world where-in they can feel as if they are playing classic RPG and MMO games. 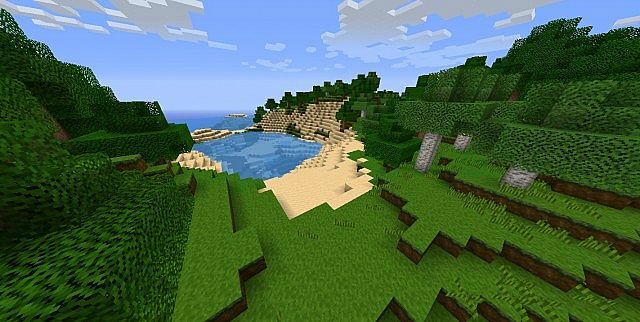 This texture pack features an overhaul to the graphics of Minecraft. It replaces everything on vanilla textures and adds in new and colorful graphics and models to make you feel like you are playing a role playing game. This includes new weapon sets, armor sets and the addition of smoother texture and better overall gameplay. If you love this pack and want to have more in the future, you can show your love to VREZH. You can check his Youtube Channel to support him. You can check more PVP packs over here. If you don’t know how to install the ZeCraft Minecraft Texture Pack [16x] just look below, we’ll provide you with a short tutorial there. This installation guide should work with all Minecraft versions. To see the Official Download Links just scroll down. 2. Download the ZeCraft Minecraft Texture Pack [16x] from the official links.